This entry was posted in Auto Accident, Blog, Car Accident, General, Health, Health Care, Health Insurance Blog, Health Insurance Plans on 06/28/2017 by Alejandra Vazquez. A hospital indemnity plan is a type of insurance policy that helps to cover certain costs left unpaid by your essential healthcare or auto coverage. Depending on the chosen plan, a set amount is paid by the insurer—either per visit, per day, per week, or per month—that you are in the hospital. A hospital indemnity plans is considered supplemental insurance, meaning that it can’t stand alone as your basic healthcare coverage. It doesn’t count as minimum essential coverage under the Affordable Care Act (ACA). Instead, it complements your essential coverage by helping to pay for costs left unpaid. You may be surprised to learn that more than one in four Americans say that someone in their house is currently struggling to pay back medical bills. And this is not limited to those who aren’t covered. Even those with health insurance struggle to pay medical debt, and many are forced to take money from retirement, college, or long-term savings. Hospital stays are expensive, and basic healthcare coverage often fails to cover the total cost. This can leave you with unforeseen expenses. According to a 2012 study, approximately 35 million people are admitted into a U.S. hospital every year, and the average cost per stay is $10,400. 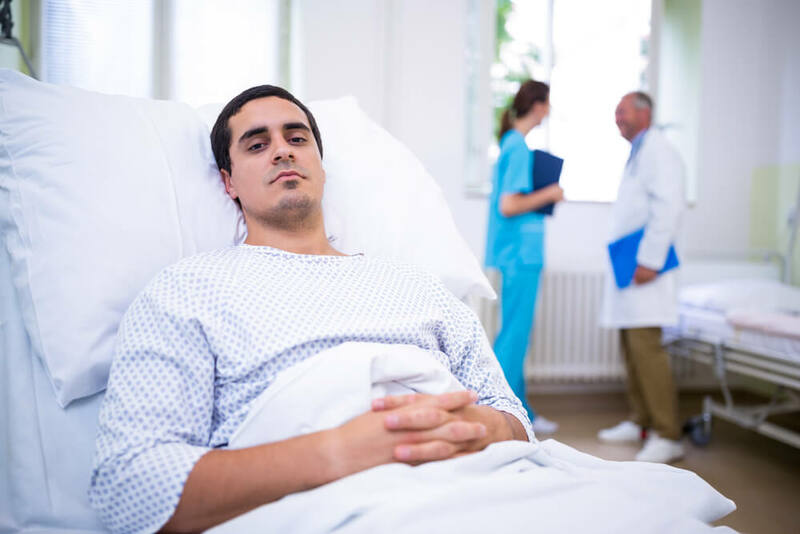 Indemnity insurance is important because it helps decrease the amount of costs associated with a hospital stay after an unexpected car accident. What Situations Would Be Covered? If you visit a hospital after being in a car accident where you were the passenger or driver in a four-wheel private passenger vehicle, you would receive benefits under Nations Safe Driver Travel Program with Hospital Indemnity. While the indemnity insurance will not cover sickness or disease, it will cover hospital visits, treatment for injuries, and surgeries arising from your car accident. You do not have to research whether a hospital is in-network, because benefits will be paid to you no matter which hospital you visit in the U.S.
After an eligible car accident, you will receive payment for each day spent in the hospital and for other eligible expenses. There are no networks and no referrals; you’re able to visit any doctor or specialist you choose. The amount sent to you depends on the length of your hospital stay. Our claim process is simple: You pay for the services upfront, then submit a claim for reimbursement, along with proof of payment. Once we’ve approved your claim, we’ll send a check—made out and mailed directly to you. You are free to use the benefits any way you wish—there are zero restrictions on how you spend the money. Unlike a typical health insurance policy, you don’t have to meet a deductible. Note that our hospital indemnity policy is a supplemental policy for your auto insurance and can’t be substituted for basic healthcare coverage. Also, while you will be eligible for benefits through our indemnity program regardless of where you seek treatment, you may still need to consider network limitations for your essential healthcare policy. The possibility of a car accident is frightening, but it’s wise to prepare yourself for the unexpected. Consider Nations Safe Driver Travel Program with Hospital Indemnity to protect you and your loved ones in case of an accident. Our coverage helps fill in the gap between your hospital costs and what your basic health insurance pays, so you can focus on recovery instead of bills. Our program also offers other great benefits, including a free prescription discount card with savings of up to 70 percent on prescription drugs and valuable travel discounts to places such as Disney and Six Flags. For more information about our Nations Safe Driver Travel Program with Hospital Indemnity, available for less than $1 per day as an enhancement to your auto policy, call us today. To learn more about our quotes for health and auto insurance, request a free auto insurance quote or health insurance quote online or call (888) 443-4662 to talk to one of our insurance experts. Our insurance advisors will help you find the right insurance policy for you at a price you can afford. Brian Moore, Katharine Levit, and Anne Elixhauser, Statistical Brief #181: Costs for Hospital Stays in the United States, 2012, Healthcare Cost and Utilization Project, October 2014, https://www.hcup-us.ahrq.gov/reports/statbriefs/sb181-Hospital-Costs-United-States-2012.pdf. Kelly Gooch, 10 Statistics and Findings on Medical Debt, 31 August 2016, Becker’s Hospital Review, http://www.beckershospitalreview.com/finance/10-statistics-and-findings-on-medical-debt.html. Liz Hamel, Mira Norton, Karen Pollitz, Larry Levitt, Gary Claxton, and Mollyann Brodie, The Burden of Medical Debt: Results from the Kaiser Family Foundation/New York Times Medical Bills Survey, 5 January 2016, The Henry J. Kaiser Family Foundation, http://kff.org/report-section/the-burden-of-medical-debt-section-1-who-has-medical-bill-problems-and-what-are-the-contributing-factors/.